With the summer season officially upon us, many families are looking forward to packing up and getting away together. But some may cancel their plans due to higher gas prices. 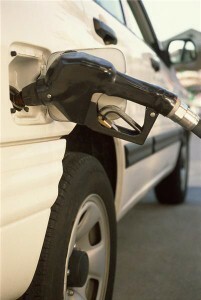 According to AAA, gas prices have increased an average of 56 cents per gallon since last Memorial Day. Carol White, co-author of the book "Live Your Road Trip Dream" recently offered advice on how fathers can deal with higher fuel costs, without cancelling their road trip plans. 1.Skip a dinner out. White says that slightly higher gas prices really won’t end up costing too much. For instance, taking a 1,000-mile trip with costs 75 cents higher than you wanted will only cost an extra $32.60, if your car gets 23 MPG. Opting for a dinner at home instead of at a restaurant will easily help fathers save the extra cash. 2. Consider an RV vacation. Not only do RVs serve as transportation, families will save on lodging and be able to avoid eating at restaurants while away from home. 3. Work together as a family. Get everyone involved in saving the extra money you’ll need to pay for gas. Dads and moms can skip their daily coffee run and bring a brown bag lunch to work, kids can forego their allowance or contribute some of their savings to the cause. 4. Don’t let the "psychology of price" get to you. Spending an extra $32 shouldn’t deter you from taking a great trip. Get over the initial shock of higher prices and enjoy the time together! White added that when fathers look realistically at the costs they’ll incur when gas prices rise, they’ll most likely realize that they’re not unmanageable. Also, experts say that road trips can help families spend quality time together and create lifelong memories. Those things are priceless!